Between 2007 and 2015, we were actively involved in the Maine Butterfly Survey (MBS). The main focus of the survey was to determine the status and distribution of butterflies in Maine. 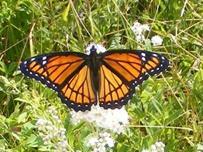 As members of that survey, we took a number of photographs of butterflies in Maine. To view photos, just click any link below (common name of butterfly). We will be adding more photos as they become available. 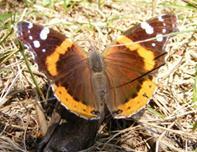 For more information about MBS, you can visit the site at Maine Butterfly Survey. A list of articles, a MPBN radio broadcast and newspaper stories based on our work with Maine butterflies can be viewed by using this link- Information on Maine Butterflies.